I hope you're having a fantastic week so far. Today's video is all about that glow we want in summer. It's a peach make-up look that is very light and fresh, because no one wants a tone of make-up caked up on their face what it's super hot outside and you feel like melting. This is something I would wear for going out on summer days, it's very glowing and bronzing, yet incredibly easy to achieve. Looks so glowing and sunny! great makeup! Such a great video, you're so cute! 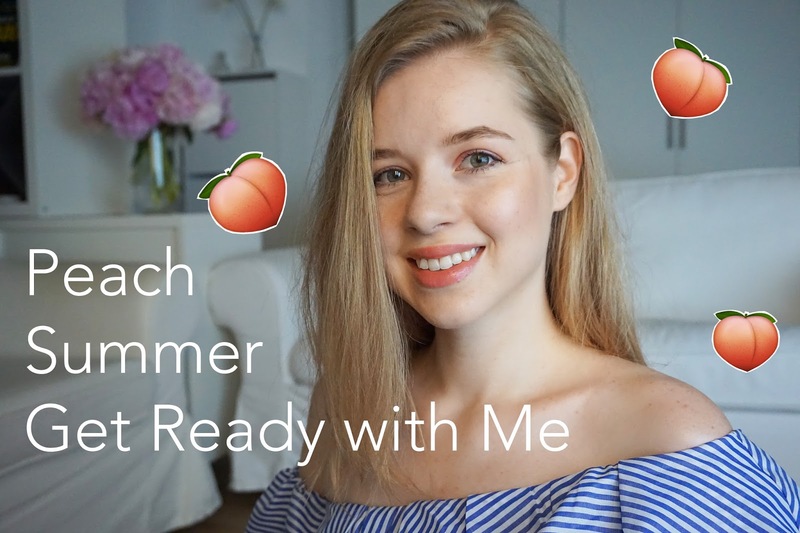 I love the look you created, peachy makeup is so perfect for the summer! que chulada de video, me encanta! You are so beautiful, I love your lipstick! Gorgeous! Love the peachy shimmer. I love your peachy summer makeup. You look gorgeous. So natural and pretty, love it! Love your natural makeup and peachy lips! What a pretty makeup look you've created girlie, so perfect for spring and summer! I love how light and refreshing it is, that peach lip looks so good on you! Thanks for sharing and I hope you have a great weekend ahead! I love the peachy shade! It looks very pretty on you girl! You are so gorgeous and I love all the little peach emojis! Why do they make me so happy? Love your outgoing and happy spirit. Can't wait to watch more! You're so cute! And this peachy look is absolutely perfect for summer! Thanks for sharing lovely. Mood actually decides on what colour palette I use daily. But peach is one of my favs!!! So beautiful! I love this look darling.